If you are busy building your business; chances are you have little time to think about HR technology tools that you should use in your business. Many business owners and senior executives, tend to relegate this to a later date or to someone else to decide or operate. The fact is HR technology solutions are an important decision which you must take right at the start of your business. Why? Let us explain. If you are a business that is just starting out as an idea, chances are you are more focused on survival and growth. In this phase, most entrepreneurs are juggling many priorities like getting the product and/or service right, acquiring customers, staying in the green and not missing the payroll cycles. In this phase while you are focused on acquiring your critical first few employees, it is equally important that you get the basics out of the way as far as human resources are concerned. The basics of human resources at this stage are getting the payroll right, ensuring that you are aware and compliant with local legislations while ensuring that your first set of employees have a positive experience of the workplace. You don’t really have enough resources to put behind all of these and chances are you are either going to double up for these tasks or assign them to someone on the team with even a hint of such experience. An HR technology solution which helps sort these issues out comes in handy in such situations which helps you define basic policies and processes around leave, attendance, and payroll. The payroll processing needs to be compliant and a technology solution that helps you take care of that can save you millions of rupees in fines and help you avoid costly litigation. The technology tool can also help you identify and attract right talent at such crucial juncture & ensures that your first employees have a unique and personalized experience. It can also help you get organized around the processes of on boarding and even help you setup some basics of performance management at this stage. Companies that have grown out of the early days then need to deal with the typical hockey stick curve of growth. In this phase you have likely to have attracted your initial investment and are firmly looking at growing your team and business at break neck speed. In this phase while your customer base is growing, you are still juggling multiple priorities and the complexity of the organization is just started to unfold. 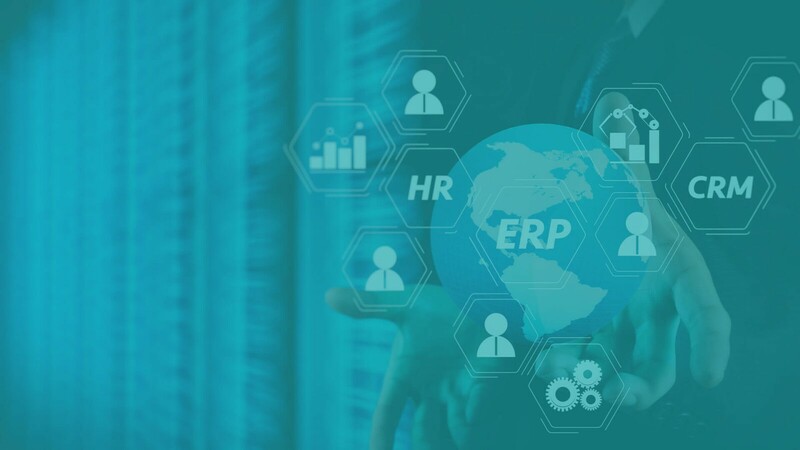 Apart from helping you with streamlining your processes in support of your increasing business, an HR technology solution can help you get more organized. At this stage you are likely to hire more experienced and professional HR staff to manage activities. Having the right HR technology tool to their disposal ensures that they don’t drown in the transactions and are able to focus on activities of strategic importance at this phase. You are likely to invest in multiple HR technology tools that help you build your brand in the market, source the right talent, & then ensure they stay with you by providing them with necessary feedback and motivation to perform. Here you may also introduce other HR practices like group benefits, training, and rewards. Managing these processes in a growing setup, especially with multiple offices can create anxieties. With the help of right HR technology tools you are able to simplify the work processes and provide access to employees about work related information. The software can help you ensure effective and efficient communication moves across teams and locations, thus helping your employees become more productive. In this stage you have now established yourself as a known brand both with your customers and potential employees. Here you continue to look for growth opportunities while deploying account management principles to continue to serve your existing customers. You are constantly looking to stay ahead by innovating and evolving your product and/or service to keep up with the changing technologies and customer needs. In this phase your HR department has grown to be a full-fledged function with specializations of recruitment, performance management, organization development, compensation & benefits and rewards & recognition. Here your HR processes have now grown complex with your organization collecting various data points about your employees in different stages of their life in the organization. The right HR technology solution can thus help you to automate your repetitive administrative tasks and free up your HR for more value-added activities. The technology solution helps you make effective talent decisions using the power of data collected at various stages. In this phase the software solution can help you reduce your HR operational costs by optimizing your HR staff and improving their productivity. At this stage ensuring that everyone is aware of what is happening in other parts of the organization is critical to your business. The HR technology tool can help you deploy effective communication mechanisms, across various devices including mobile. The right tool can help employees receive continuous feedback about their work, while also ensuring they are rewarded and recognized periodically. The technology solution can also help employees take control of their own career within your organization and define unique paths for themselves. We are all aware of the Uber saga which resulted in the ouster of its founder CEO. An overwhelming majority of the recommendations given by the firm appointed probe the allegations were related to HR aspects. This one example has once again proven to us that overlooking people aspects of your business and leaving them to chance could prove extremely costly for any business. Previous PostHOW DESIGN THINKING CONCEPTS REDEFINE THE HR CUSTOMER EXPERIENCE?